I have a laptop on loan from the Lady Wife at the moment and aim to spend this morning cogitating and digesting the week's conference in Paris, LeWeb3. 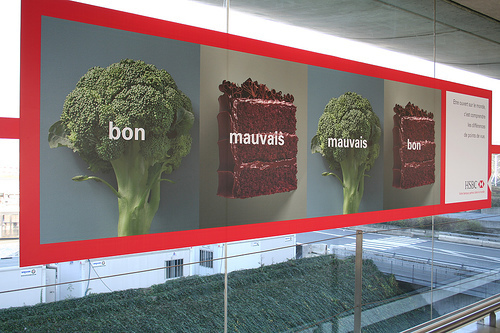 While I've not been able to live-blog things the upside is that I have had plenty of time to think without distraction, and this poster snapped on the way home at Charles de Gaulle airport kind of describes how I feel about the whole LeWeb3 debacle: bon, mauvais, bon, mauvais. The Technorati LeWeb3 stream will give you a picture of most people's distaste for Loic's last minute programme changing and political interventions. While last year's conference got a couple of folk into a little live-on-stage-embarrassment, this year's conference has even got one Techcrunch writer sacked. 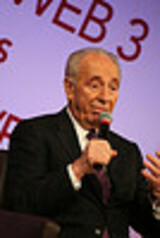 After Loic's open letter to the three French presidential candidates on Monday and Shimon Peres' demand to speak on Tuesday morning most people felt resentment that the planned programme had been condensed and moved about. The startups hadn't even been informed and continue to try to pitch to no-one. Here are a few of my own, hopefully constructive points. They will put you guys in the picture of my mood, for sure, but might help us have a bit of a conversation (or thought, at least) of the planning of events and the potential role of politicians in conferences. The attendance at the conference started out at 1000, but finished by Loic's own admission at 1300. I bumped into loads of French businessmen and bloggers who had not paid entry to the event and were not contributing to it in anyway. I don't like paying 400 euros (some paid 600) for my programme to be rushed, speakers perturbed and moved about. While speakers and panels were cut off in their prime, further questions for the excellent Hans Rosling were cut short 'to stay on target' and Danah Boyd - the reason I came to LeWeb3, was cut from 30 minutes to 15, Peres, Bayrou and Sarkozy went well over the '15 minutes' mentioned in the open letter (more like two hours between them). I also didn't appreciate the hustle and bustle from the packs of media who materialised stage right during other people's panels and presentations - really distracting. This was a conference about the Long Tail as much as the big hits. 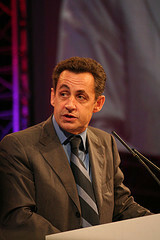 Why did France's number two politician, Sarkozy, not even take questions? His script had been prepared by some civil servant that morning, he hadn't had time to read over it (he was leaning over his text and struggling with some of the syntax) and the content was entirely about France and French politics. At worst, LeWeb3 was supposed to be a European conference. At best, it was to be a flattened world experience. In the end, it was a French Party Political broadcast, and not a particularly good one since Sarko really doesn't get what the web is about, his speech full of contradictions. We in the room lent kudos to the candidates' PR and that of Loic, whose ambitions are clearly beyond SixApart, LeWeb3 and us. Loic doesn't need to do this with his consitituents, but in trying to do so has put our backs up. Bayrou, another centre-right presidential hopeful (there was no-one from the Left, Segolene Royale being busy with her constituents), was unscripted, took questions and very sharp on the ball. However, it was the translator, not our host Loic, who insisted that the audience ask questions, not the media mandarin in charge of Europe 1 radio station who had forced himself on stage into a seat and grabbed a microphone. It was Loic who, each time, gave first questions to the TV media. Thank goodness, again, that others on stage and the audience clapped over any second attempts to take our time away with further questions. Over this morning I'll be posting my thoughts only on the things I found really useful and helpful, and which have some leaning on education or the way our organisations work. That means, ironically, that I'll be missing out any reference to the Education 2.0 panel (two guys who were so painfully boring and off the ball that I left before the end). You can pop back today and over the weekend to get all this or, even better, learn how to subscribe to these posts so that in three clicks you don't miss a thing. Enjoy! There is a presentation by Hans Rosling available on the TED site. Very much worth watching. His Gapminder is hours of educational fun. Thanks for your time and effort here Ewan. The Rosling post is half written at the moment and makes reference to the TED Talk - it was the first time I saw him but seeing it 'live' was worth every cent. Thanks for the reminder, Nathan! sorry i missed you at the event. maybe next time. Would love to chat mobile some time. I'll try and get in touch before the next bash. Maybe Lift?